Old map by TALLIS -Polynesia or Islands in the Pacific Ocean. Title: Polynesia or Islands in the Pacific Ocean. Size: 9.9 x 13.6 inches. Condition: Map has been cleaned, with centerfold, decent margins, small 'chips' to margins etc. A decorative and attractive map of the Islands in the Pacific Ocean. The map extent shows parts of California, Papua New Guinea, eastern Australia, and southern Japan. 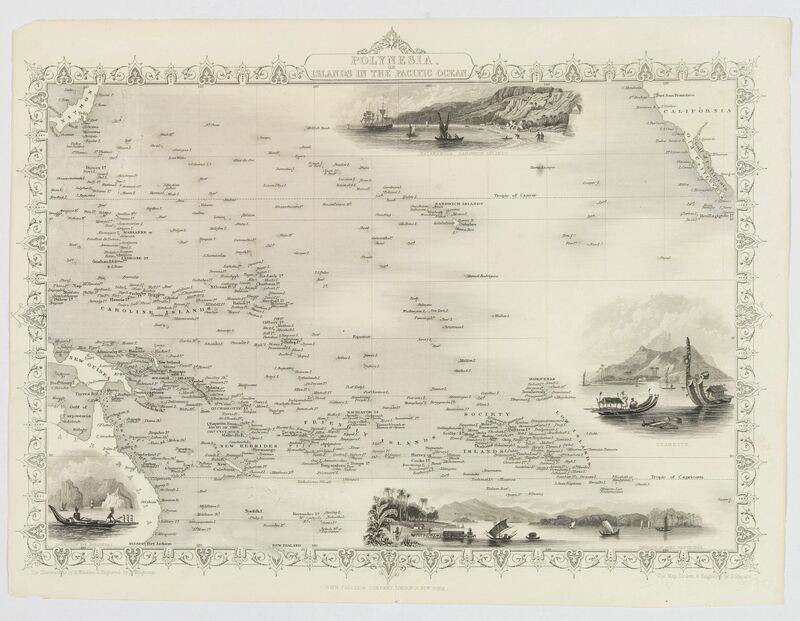 The map is embellished with a decorative border pattern and is further enhanced by three beautiful small vignette steel engravings, of the Sandwich Islands (Hawaii), Otaheite, and PNG. Among the many groups of islands featured are: Caroline Islands, Friendly Islands, Society Islands and the Sandwich Islands. 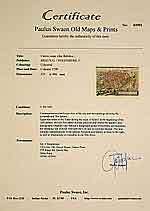 John Tallis was a British cartographer and publisher, whose firm 'John Tallis and Company' was established in London, and then expanded to New York. Tallis flourished between 1838 -51. This map is from his 'An Illustrated Atlas of the World'.